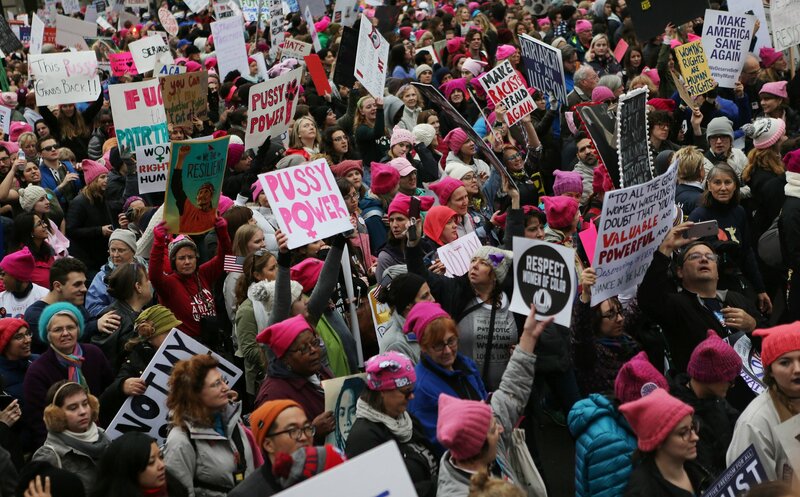 Will the Women's March Help Grab Trump by the Midterms? 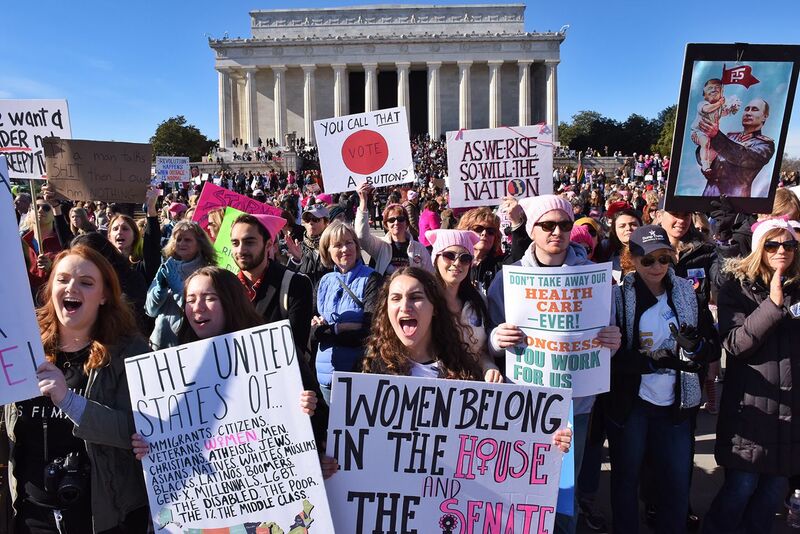 But others see meaningful differences between the Women’s March and the Tea Party that suggest the movement could last longer than its conservative counterpart. 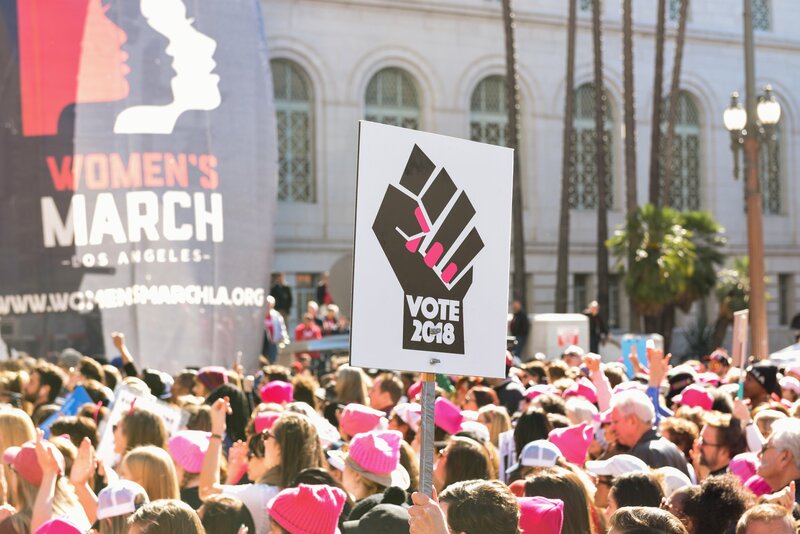 "The Women's March doesn't have that same laser-focus on health care reform as the Tea Party had in 2010, which they used as a kind of funnel," says Democratic strategist Tracy Sefl. 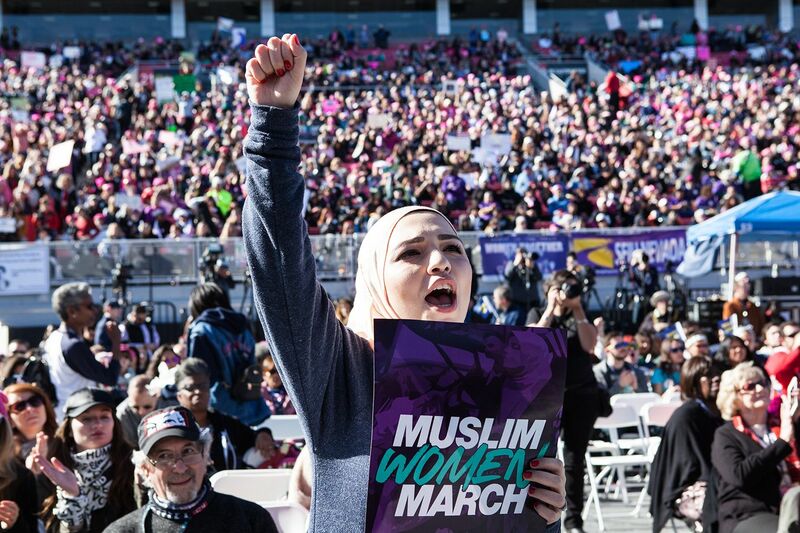 "There's room for more issues in the Women's March that are cultural, as well as political. If 2010 was a funnel, this is a waterfall." 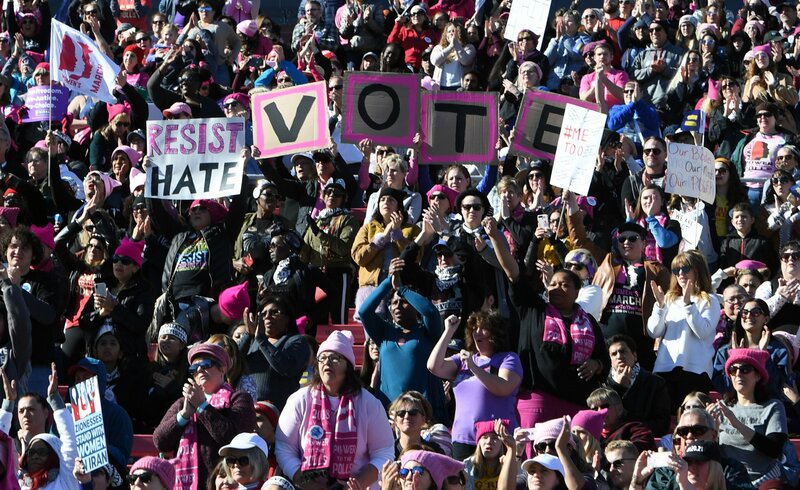 Women’s March organizers and speakers addressed this tension at the Las Vegas rally, with some calling for white women to “scooch your chair over” to make room for women of color —and reminding white women that it’s not up to black women to save the country from itself. "Caucasian women need to get on board,” says Renee Lewis, who traveled to Vegas from Eastvale, California, to attend the national rally. 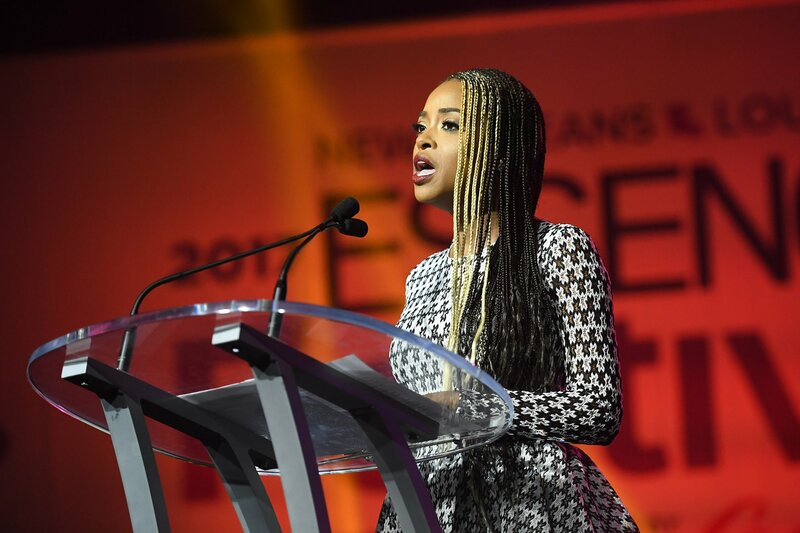 “If they're not on board, they're for what's going on in the world today."